I think it’s safe to say that in today’s day and age if you’re running your own business, you need to be advertising – digitally. Whether you’re b2b or b2c, the business world has become so competitive that very few havethe luxury of not having to market and advertise their products or services online. We have noticed an increase in interest in Google advertising (referred to as Google AdWords) amongst business owners who range anywhere from your local attorney to a chap who owns a ladder factory. This makes sense, you only have to think of how you search for products or services yourself on a daily basis. Do you still whip out the yellow pages – use your finger to navigate through a hundred or so pages to eventually find what you’re looking for? Ask to be quoted by fax perhaps? You might have replied yes…(Grandad is that you? ), but most of you will have replied no, I Google! It’s true, almost everyone today does a Google search when they need something. This is because it’s easy, quick and specific. You won’t get a bunch of ads showing you stuff that you’re not interested in, just a list of businesses and their websites offering the products and services that you are specifically looking for. Jump to our pricing page here for some hard numbers. But these numbers are affected by the following variables which we will explain now. You can invest anywhere from a couple of hundred Rand to Thousands. The amount depends on a number of factors. Targeted area – If you’re advertising by region, not country. Targeting the area of Sandton will cost more per click than if you were targeting Pofadder as an extreme example. This really ties in with the fact that there would obviously be more competition in Sandton. Type of business. Car insurance, legal, loans, and banking are renowned for having expensive keywords because they’re highly competitive and necessary industries. Less competitive, niche businesses will pay less. The amount also depends on the keywords that describe your industry. What do keywords have to do with this? AdWords works off an auctioning system. I will try to use a real world situation to explain. Two competing florists, Alfredo’s vs Luigi’s, have started AdWords campaigns. a daily budget must be set before creating an advert. The aim is to have your ad in one of top 3 positions on the first Google search page because statistically, most people will click on these, not the ads at the bottom of the page from 4th downwards and certainly not those on the second Google page. Keywords are words or phrases that customers will be typing into Google search when they’re looking for a product or service. These keywords trigger the adverts. In this case, it would be something like “where to buy tulips” and this keyword phrase will trigger an advert being shown. Each keyword carries an amount that the advertiser needs to bid on against competitors to get shown. Now Alfredo and Luigi will consider that a great keyword (phrase). So Alfredo bids R5 for it while Luigi bids R10. Great, Luigi’s ad goes top of the page becuase he bid higher, right? Well, not so fast. Your ad position isn’t only determined by your bidding amount but by these other main factors as well. Now if Alfredo possesses a better quality website and his ads are written better – more in line with Google standards, he could actually win the top ad position for half the money. The reason that I bring all of this up is that it comes down to more than cost, skill of the advertiser counts too. Quality score is based on the ad quality and relevance of the keywords as has just been pointed out. 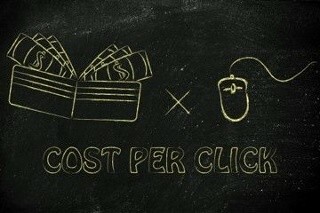 Unsurprisingly, the less relevance your keywords have to your ads wording, the higher the cost of your clicks will be. As you can imagine, a good ad campaign requires close attention as well as a proper skill set. Getting one over on the competitor is about more than just out-spending them. It’s also about being smarter. That’s exactly what Wild Pursuit do so well. We have the experience and cunningness to make your budget hit higher than your competitors. Hit the button below to start talking with us about how we can help you get sales enquiries with Google AdWords. P.S. We are a Top 20% certified Google Partner agency. How can we help you?